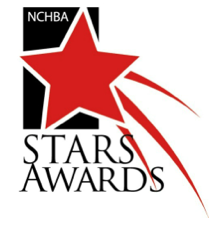 The North Carolina Home Builders Association presented 50 prestigious STARS awards at the annual STARS Awards Gala on September 10,2014 at the Omni Charlotte Hotel. The STARS Awards program honors the achievements of home building industry professionals from North Carolina and surrounding states. Living Stone Construction and ID.ology Interior Design attended the 2014 STARS Awards Gala in Charlotte, NC for the seventh straight year and hoped to have yet another successful evening. Both Living Stone and ID.ology went into the ceremony with high expectations and did not leave disappointed. Living Stone won Best Outdoor Living Area for the Japalachian Project (the Jones’ home) as well as Best Single-Family Detached Home in it’s price category for the Bonesteel project. ID.olgy won for Best Interior Merchandising over $1 million for the Japalachian project. Living Stone has had a strong presence at the NCHBA STARS awards over the past few years and it can all be attributed to the hard work Sean Sullivan (President) has put in. When asked of this years results Sullivan responded, “Our team is dedicated to do whatever it takes to give our clients the home of their dreams. We don’t believe in taking shortcuts; we’d rather go the extra mile to give the clients the quality product they deserve. Living Stone is very blessed to attend and once again be recognized at the STARS Awards Gala”.